Things to never say to a woman experiencing infertility | Infertility, why me? Just relax, it will happen when it’s supposed to happen. 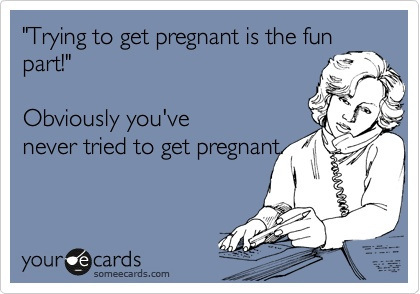 We’ve tried that, thanks…..when there are medical factors inhibiting you from conceiving it’s just not that easy. I understand. It took us 5 months to get pregnant. Taking 5 months to conceive and being diagnosed with infertility are COMPLETELY different situations. I know you may be trying to be helpful, but its best not to play the comparing game. Thanks! You’re so young, you’ve got plenty of time. Yes, I am glad we started trying when I was 26 instead of 36, but when you’re “ready” you’re ready and age doesn’t matter. Really??? So you’re saying there’s a reason we don’t have children yet?!? Suggesting our infertility is part of “the grand plan” is NOT helping! It’s not that we’re against adoption, we’re just not ready to give up the dream of having a biological child…..not to mention the cost, approximately $20,000-$30,000 to adopt an infant. You haven’t been trying that long. 12 months might not be long compared to the length of time some women try….but it’s a damn long time for us! Why don’t you try IVF? Thanks for your wonderful suggestion, did you know our insurance won’t cover that, each round is $11,000, and it would only give us a 40% chance of conception? If you’re willing to pick up the tab we’d be willing to gamble with your money. LOL, the “take a holiday” is also one of my favorites. As if we have “extra money” laying around for that while we save for the hundreds-thousands of dollars in treatments we’ll need. Yes! To all of these! Especially the “everything happens for a reason.” I want to have these infertility advice no-no’s printed onto little business cards and hand them out to everyone I encounter. Great post.